Teacher training workshop for teachers interested in using elements of drama in their classes. 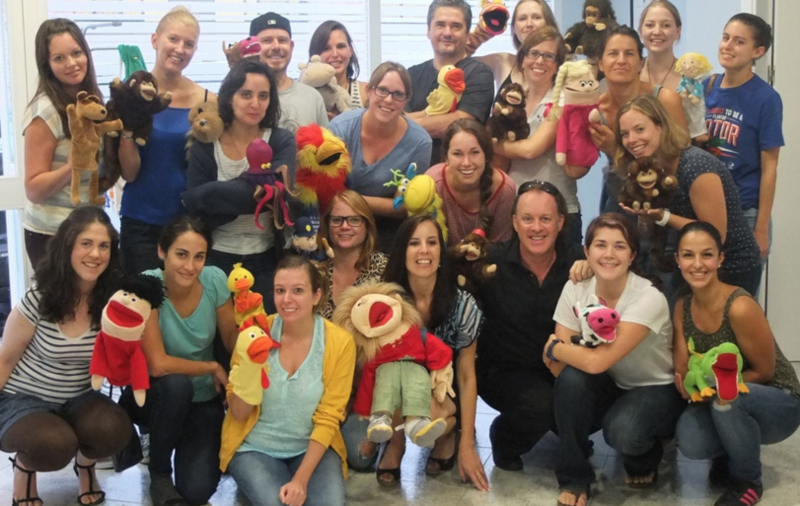 Workshop on using puppets in English language teaching with teachers from The English Business, Sevilla. Construcción de teatrinos simples y baratos para usar en clase. Teacher training at the GRETA conference, Granada. ¿Qué significa dramatizar el inglés? Teaching creativity to teachers at a weekend course in Huevla - oganised by the CEP Huelva-Isla Cristina. Workshop for teachers at GetBrit in Toledo.